As a new week has begun, we are providing you with a new Beach-Inspector update today. More precisely, we would like to tell you more about our PR activities today. 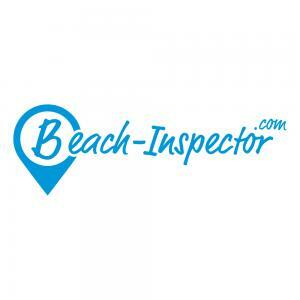 With more than 1,000 clippings (media features) so far, Beach-Inspector has already achieved a lot. In fact, PR is a very important tool for us to raise awareness of Beach-Inspector. 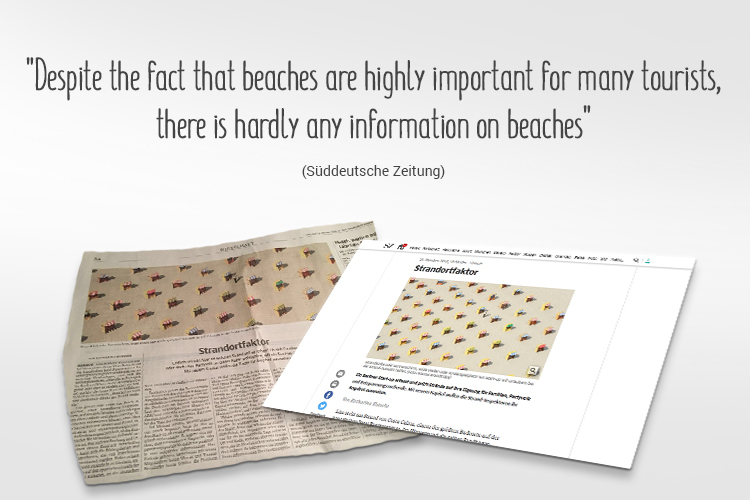 This Tuesday, Süddeutsche Zeitung reported on the idea behind Beach-Inspector and on our equity-based crowdfunding campaign on Companisto in both its print version and its online version. When we launched Beach-Inspector in late May 2015 with 100 beaches on Fuerteventura and Gran Canaria, we soon noticed that it was a little too early to start using the title of "world's largest beach platform." Consequently, at the beginning of our PR activities, we made the job of a Beach-Inspector the focus of our communication and used this job to explain the services we provide to our users. That strategy worked out very well, and in no time, many media featured our "unusual job opening." As the number of beaches and destinations kept growing, the media started considering us true beach experts and were grateful for our expertise in that area – a development that has certainly benefited us. Our greatest success was an inquiry from German public broadcasting company ARD concerning its Majorca-related show "Der große ARD-Check – Mallorca," during which Beach-Inspector talked about Majorca's beaches. The above developments have provided us with an excellent position for developing long-term media partnerships and raising awareness of our brand. Beach-Inspector is a subject that is highly interesting to the media. Together with our PR agency, we have achieved our above-average media presence by working hard to appear in as many high-reach media as possible day after day. And this work has paid off: Almost all major print and online media and many radio stations have featured us. TV stations have also been very interested in Beach-Inspector thus far. 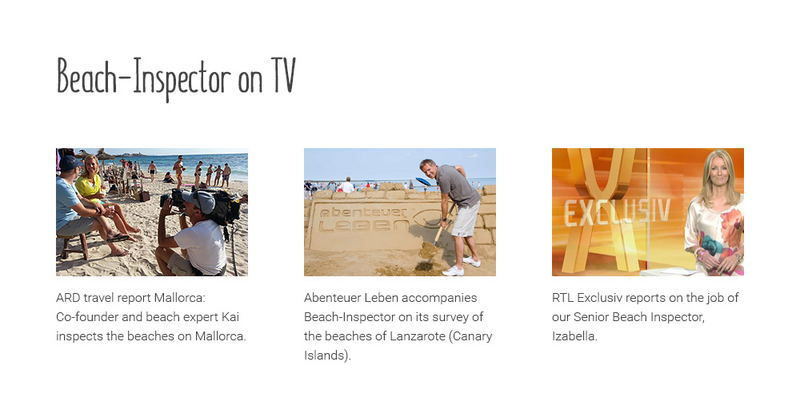 For example, we appeared in "Der große ARD-Check – Mallorca" and in "RTL Explosiv," and "Abenteuer Leben" on German TV station KABEL1 reported on the work of Beach-Inspector. A four-page interview with Anton Werner of Beach-Inspector in the March 2016 issue of BUSINESS PUNK illustrated the added value and the business-related aspects of Beach-Inspector. Reise Radio is an Internet radio station for tourism professionals. At ITB 2016 Berlin (in March), Kai Michael Schäfer of Beach-Inspector gave a detailed interview to the station. Thanks very much for your interest, and see you soon!